My business tag line is “Custom Home Accessories”. So, when a client who lives on a boat and has a flare for the theatric needs some work done, is it is marine grade cushions? No. Is it privacy window treatments for the living space? No. Is it decorative pillows? Definitely No. It is …. 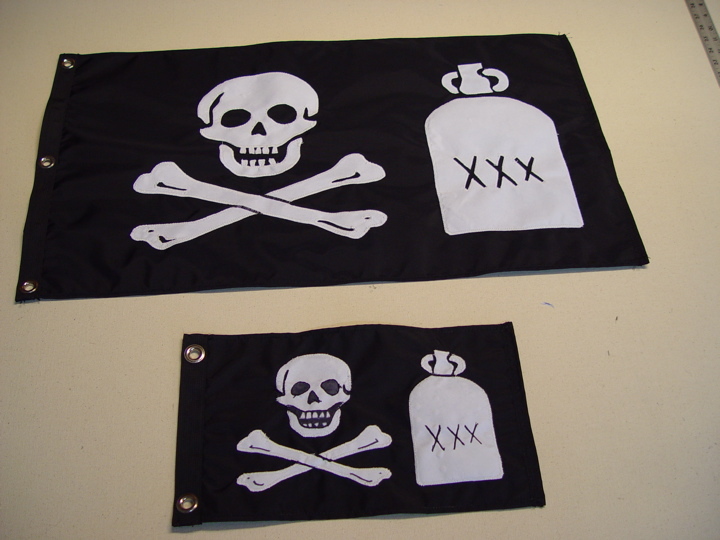 Custom made – Ensign & Storm size pirate flags.